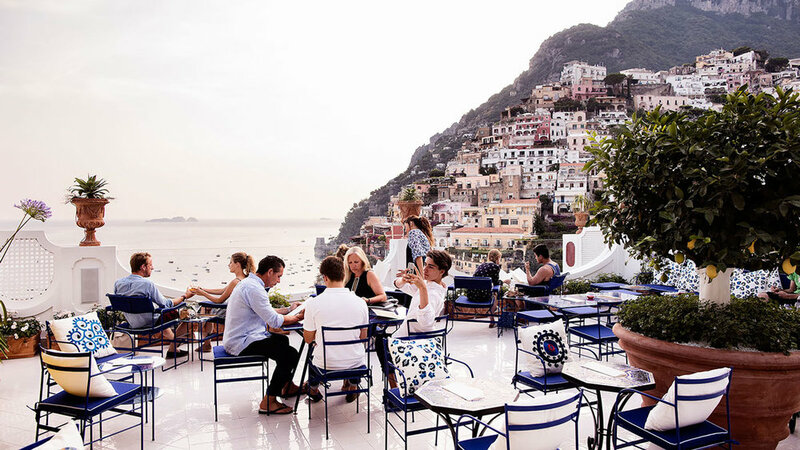 One of Europe’s most exquisite and beautiful coastlines, nestled in Italy’s Sorrentine Peninsula, The Amalfi Coast offers incredible scenic views, delicious Italian cuisine and some of the best hotels in the world...La Dolce Vita. This is one of Voyager Club’s favourite Hidden Gems. A refurbished, 17th century monastery with breathtaking views and which oozes luxury. With just 20 rooms and suites, the exclusive hotel is one of the most idyllic locations on the Amalfi Coast. Guests can enjoy the homemade lemonade by the endless blue infinity pool, cocktails on the terrace and. Positano is 25 minutes away, perfect for day trips or dinner. If not to stay... why not eat in Santa Rosa’s Michelin- Starred resturant Il Refetiorio? For classic luxe with italian glamour, try Le Sirenuse Positano. Owned and operated by the Sersale family, this hotel has built the loyalty of many clients over the years. This hotel has charm, heritage, romance and a touch of italian glamour. There is no better place to have breakfast overlooking the Amalfi Coast or swim in the iconic pool. Voyager Club Tip - For drinks, head to Franco’s bar and enjoy cocktails on the Italian terrace, with vibrant colours and exceptional views of the Amalfi… for amore or for friends! For dinner- head to Da Vincenzo. Perhaps the chicest boutique hotel on Capri Island…. The stylish interiors by Giampiero Panepinto do not disappoint. Perfectly suited away from the hustle and bustle but five minutes walk from the main square, the famous Piazzetta. Overing 6 different room categories as well as the new ultra exclusive villa Mediterana. Guests can enjoy the fabulous inside outside pool, terrace cocktails and Tiberio Spa. Perks include fresh lemonade on arrival and complementary foot massages in the afternoons. For Interior lovers, Capri Tiberio is offers super chic stylish interiors by Giampiero Panepinto. Voyager Club Tip - Favourite place to eat in Capri? Dine under lemon trees at Da Paolino!